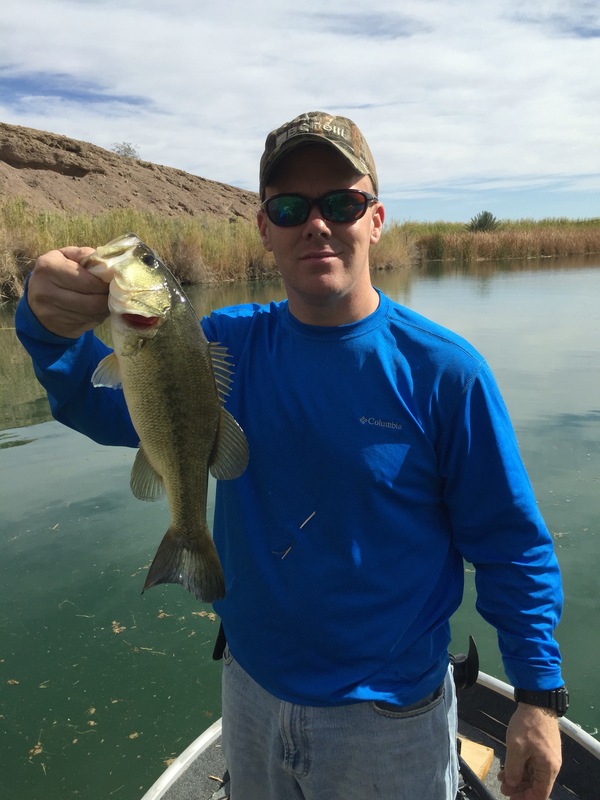 Today, Robert and I hit the lower Colorado River near Yuma AZ for some largemouth bass action. 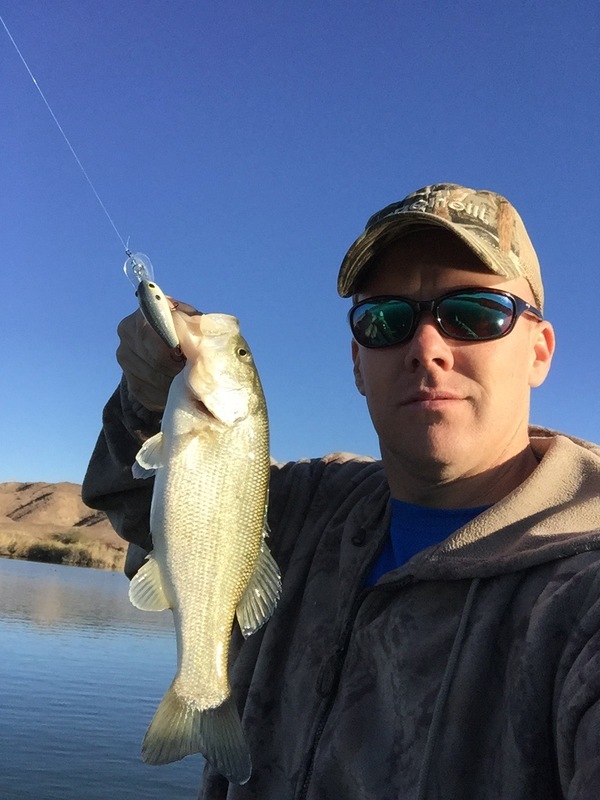 The lower Colorado is loaded with big bass, and has several small “lakes” or backwater right off of it. Our goal for the day was to explore some new water, and see if we couldn’t put a few fish in the boat while we were at it. We splashed Robert’s boat at first light, and made the short run to our first spot. 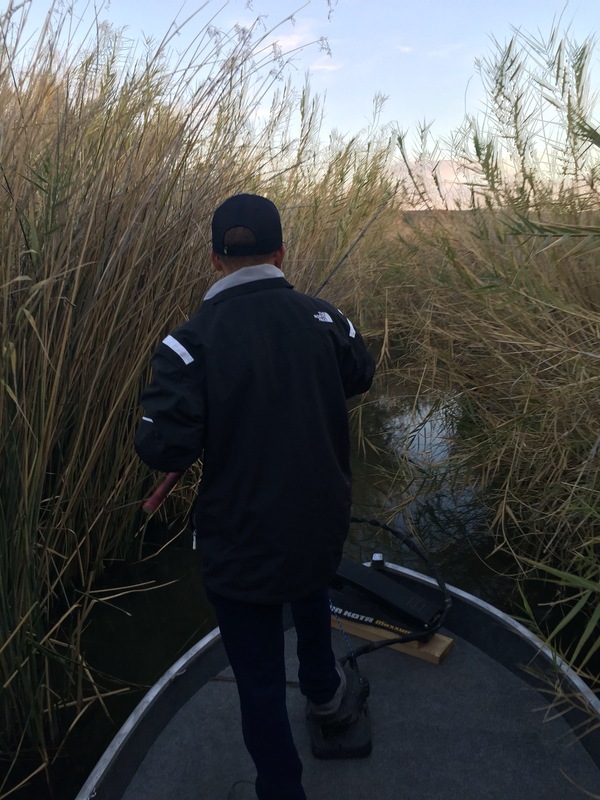 Having never fished in this particular “lake” we didn’t really know what to expect. Going in was a little tight, but we made it work. Once inside, we started looking around for “fishy” looking spots to start. Watching his Lowrance Mark 5x sonar, we see that there’s a steep drop right off of a major point. Perfect winter time spot! I’m throwing a Spro Little John and Robert is tossing an Alabama rig. 10 minutes or so into working that point, I put the first fish of the day in the boat on the Little John. We continued to work the point for a little while longer, but that was the only fish we found. Moving around the lake, we find some standing timber in 7-8 feet of water. This spot should hold some fish we said, but I was in need of a crankbait that ran a little deeper. I changed the Little John out for a Bandit 200 and Robert began throwing a drop shot. A few casts in, I felt a good deflection off of a tree limb, and then a solid thump. I set the hook and a few moments later had fish number 2 in the boat. Quickly getting it back in the water, I made another cast and stuck fish number 3. At this point we knew we had found a pattern and Robert tied on a crankbait. We continued to work that area over, but didn’t find anymore fish. We eventually decided to run to the next lake. This one was even harder to get into, but once again we made it. Once inside, we quickly keyed in on the same standing timber that we found fish on in the previous lake, and in a matter of minutes had another fish in the boat. We each had a few followers and a couple of hits after that, but didn’t catch anymore fish. 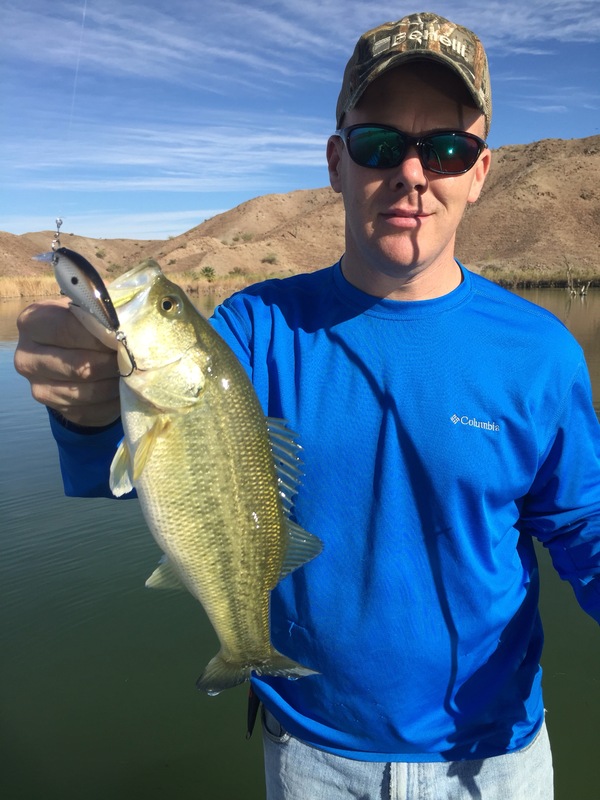 Running out of time, we decided to give up on exploring and head to one of Robert’s standbys to see if we could find our last fish for the “tournament bag”. Though we weren’t fishing a tournament, it’s always nice to know that if you were, you’d have brought a limit to the scales. This last spot ended up being the hardest of the day to get into. Once in, Robert pointed out a rock pile and a stump and said there’d be a fish on one of the two. After throwing at the rock pile with nothing to show for it, we eased over to the stump. I threw the Bandit in and started cranking. About the fifth turn of the reel I felt a deflection and then the thump. Fish on! I get her to the boat and hoist number 5 over the side. At this point, we are out of time. We make a couple more casts and decide to call it a day. 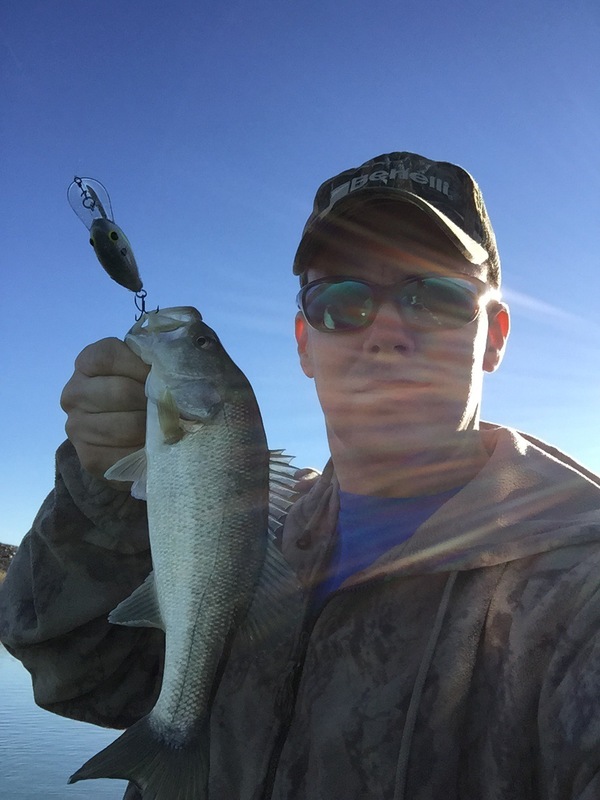 All fish were caught on crankbaits, and four out of five bit after the crankbait deflected off of wood. Thank you again for the trip Robert, and I look forward to doing it again. We hope you enjoyed reading about our trip, and have tight lines until next time.